Vector illustration of a wild animal. Realistic lioness resting in the grass. Calm animal with stretched paws and natural position. 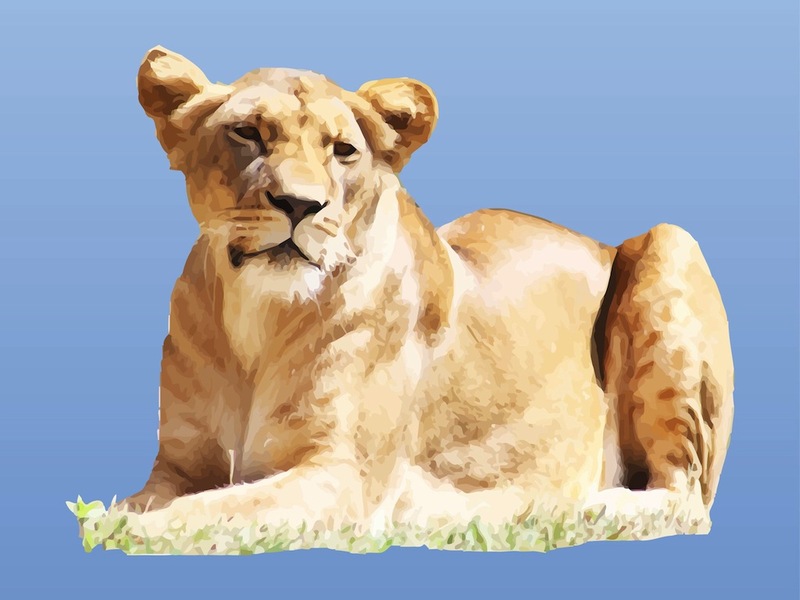 Free vector lioness for animals, zoo, wilderness, wild animals and biological diversity projects. Download female lion vector trace for your posters, educational illustrations and T-shirt prints. Tags: Animal, Dangerous, Female, Lion, Safari, Wild, Wilderness, Wildlife, Zoo.